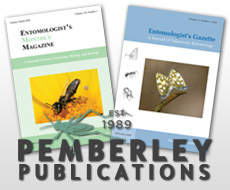 If you wish to sell good quality single items, a larger collection, or a complete library of books on entomology or related natural history, please contact us either by phone, fax or by using the form below. It is useful initially to provide a list, or at least to state some of the highlights of any collection. Please state, author, title, date and condition where possible. We will travel to view collections, both within the UK and further afield for significant libraries or more valuable items.